Summer mixed is drawing to a close and a new season beckons. To put everyone in the mood for the rigours of the winter Stirling Wanderers laid on a mixed tournament this weekend, with three of their own teams, one from Carnegie and a group of (mainly hoary old) warriors from Kinross. Unfortunately we were unable to rustle up any ladies and so we had been promised some help from Stirling, but on arrival they sized us up and decided we'd be better off with an all-male team. Dan was already crook, having strained his back at mixed last week, so he sat on the sidelines for the first game. The rest of the team - Gordon, Andy and David Mac, Stuart and Sam Smith and Monty - started brightly enough and were two goals up in fairly short order, but Andy had started to feel the strain in his back too and with Andy Marsh playing goalie for the opposition, we were pulled back to 2-2. Then Andy Marsh had to pop into work and we were another player down. Still, with Dan and Andy Mc playing through the pain we clocked up a win and two draws, losing only against Carnegie, who had turned up with a very strong team. Then, with eighty minutes of hockey clocked up, your correspondent was looking forward to a well-earned beer, at which point he was informed that the tournament involved playing everyone twice. Another eighty minutes of game time beckoned! We started to understand why the organisers were so relaxed about our having an all-male team, as the legs of the old folk stopped doing what they were told and sticks were put into action as makeshift walking sticks. Teams we had beaten in the first set of games started to put goals past us with much more ease, and although we managed a good win against one of the Stirling teams it was all very hard going. To round it off, the last game, against Carnegie, involved our conceding a hatful of goals in a torrential downpour. This was not a happy experience and hopefully was not an omen for the season ahead. But despite the pasting at the end of the day, it was a good fun day, played in an excellent spirit and we were mightily pleased to end up placed third. For the 1st team, there are 12 teams in total. Stirling Wanderers 1sts and CALA Edinburgh Colts have replaced Dunfermline City and Carnegie. Unfortunately, the last game of the season is away at Fidra (02/04/16)! First 3 games are away! Starting at Stirling Wanderers (19/09/15). Another interesting point is Erskine Stewart Melville have ditched their 3rd team and have replaced it with their 2s team! 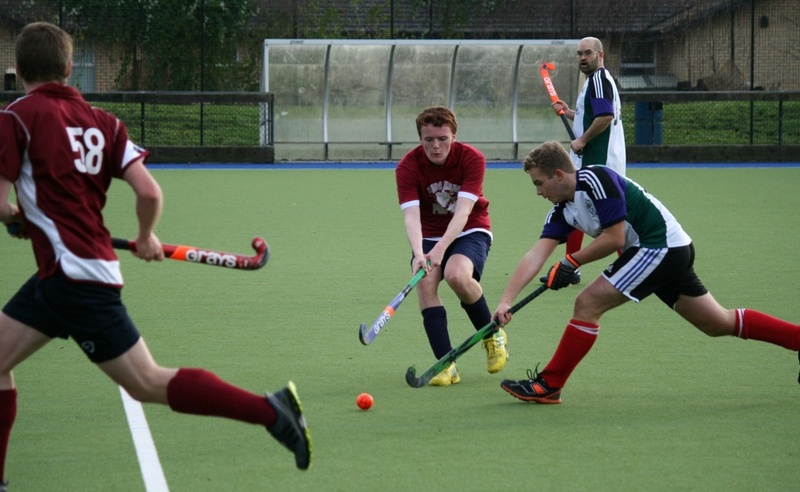 They played the likes of Stirling Uni 1s and Perthshire 1s last year so will be very tough indeed! For the 2s team, the league only consists of 8 teams. This does not mean you will play 14 games (once home and away). There are an additional 7 games (yes this does include an additional trip to Fidra!) that seem to have been chosen at random. First game is away to Peebles on 12/09/15 and the final game is at home against Peebles on the 02/04/16. Again some tough teams like Eskvale 1s but overall seems to be not too bad. Congratulations are due to Struan Hepburn, ex-Kobra and current midfield dynamo for the men's 2nds, who will be head boy at Kinross High next year. Hope it's not going to interfere with your hockey Struan!